-I've never seen Martinelli in stores in MA. I think the release price on this is $60, and it's sold mostly through mail order. -$45 release price. 82 WS, but a CT median of 90. I think I've had this wine by the glass at The Capital Grill ad I loved it. And let's face it- a nice looking bottle. Strong brand. -I thought the pricing on this was insanely low. $55 release price, 88WS, 91 CT median. Really beautiful brand and bottle. You always see this one at steakhouses for $100+. -I liked this '05 vintage of this wine at $32 ($40 less 20% discount for a case purchase). I gave it 93 points and thought it was the best Zinfandel I've ever had. I think at $25 this is an amazing buy. -I thought this was a great price for a legit Oregon Pinot Noir I've been looking for based on comments I've gotten from friends on this site. Also have their Pinot Gris at a great price. UPDATE: This wine received 90 points from Wine Spectator with a release price of $32. -This is a fantastic wine that's hard to find for less than $30 (the release price is $35). Also had the '07 Gnarly Dudes for $19.99 but I've enjoyed the Angels' Share more in the past. -Not sure why I bought this one, other than it looking like a nice bottle of white wine from a producer I've visited and enjoyed wines from in the past. Just looked it up- 89WS and a release price of $30. Wow. I see a store in MA selling this same wine for $13.99- for a half bottle. 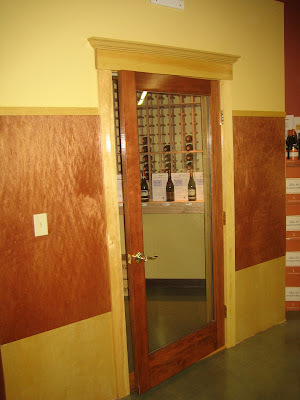 -I tried this at a shop that was considering bringing in the '05 vintage. They said they were afraid to carry it because it would cannibalize sales of $15-$20 Cabs. WS panned this one- 79. CT users don't like it much more. May have been a mistake. There are no case discounts offered on top of these low prices, and sales are subject to 6.25% Massachusetts state tax. I like the model where you don't have to buy quantity to get the best pricing. Some stores closer to me make it necessary to buy 2 cases to get the pricing down out of the stratosphere. 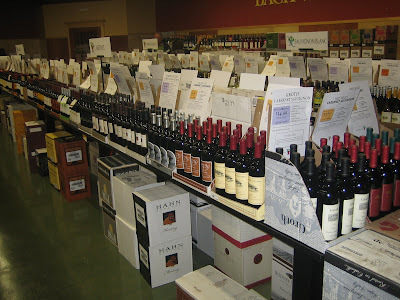 Even after 20-25% discounts at other stores, the pricing isn't as good what I saw at Wine ConneXtion. I had a chance to talk with Wine Director Sam Messina and his co-owner/sister Tina Messina about the store and their unique business model. They bring 40 years of experience (ie, they know how to pick good wines) and are hyper-focused on being the area's ultimate low-cost provider of fine wine. They even went as far as to consider efficient heating and lighting systems to further keeps costs down. I learned that they used to run a more traditional liquor store at the location (lotto machine, nips, cigs, etc). They decided to re-vamp the way they do things as part of a revitilization of the First & Main Marketplace it's located in and I'd say they hit a home run. It's actually the closest thing I've seen in MA to one of my favorite stores in the country- San Diego Wine Co. 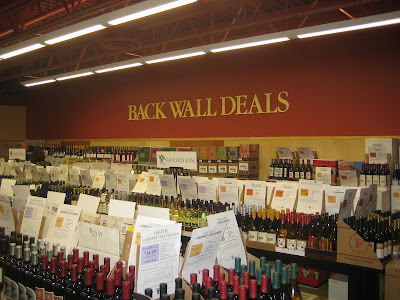 Minimize the number of SKUs, focus on the wines people want that turn quickly, and offer them at unbelievably low prices. I'll look forward to seeing the product assortment change over time. I'd also like to see them develop their internet presence so I can be aware of their inventory to justify the trip up there (it took me about an hour with traffic at 6:00 PM). I'm not looking for anything fancy here- just a monthly newsletter with their latest best deals and E-mail blasts with closeouts they're able to obtain. A simple reply to the E-mail if I'd like to take advantage of one of their offers is all I'm looking for- no e-commerce site is necessary. Effective use of Twitter would be nice too. It's how I like to shop. I'd encourage you to check this store out. It may have redefined the baseline for rock bottom pricing north of Boston. Interesting in reading more about this store?